Any shopping trip to Spain that takes in Madrid wouldn’t be complete without a visit to the capital’s Barrio de Salamanca. As one of the best neighborhoods in the city for upscale shopping, it’s located to the north east of the historical center and makes for a great day out. Here’s a list of some of the best fashion boutiques you can find there. Although this brand designs and creates all clothing in Barcelona, the Madrid location is slowly becoming just as popular. The designs are bold and colorful, perfect to ring in spring and summer with – think bright yellow socks, a straw hat, and a beige linen blazer hanging over a patterned oversized tee with sleek trousers. Dr. Bloom is all about movement and color, but they certainly never take things too far. 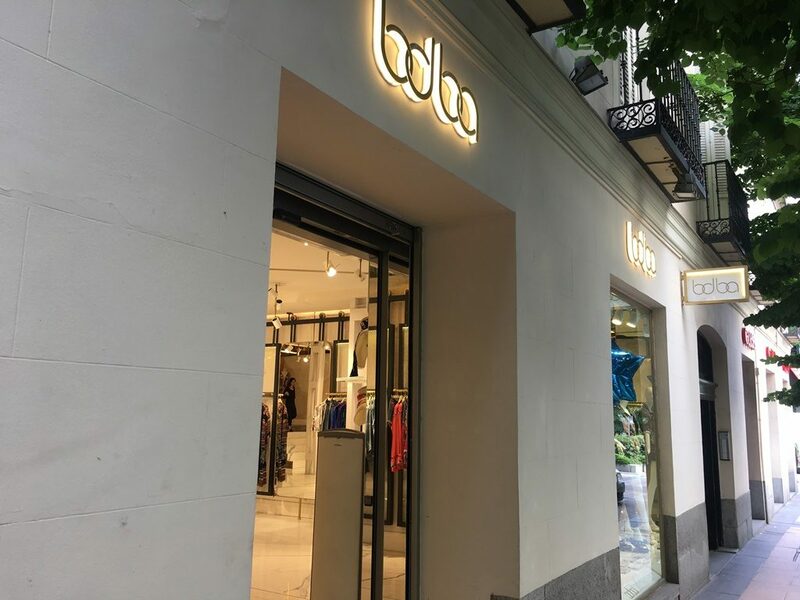 While this is a boutique with other locations in Spain, Portugal and even in Miami and Mexico, the flagship BDBA store is located in the Barrio de Salamanca neighborhood in Madrid. The boutique sells high-end, luxury clothing made from the best fabrics sources in both Italy and Spain. The store prides itself on elegance but also has the latest trends, focusing on giving women options for any occasion. The onesies and dresses are particularly cool for weddings or other special events. Dating back three generations, menswear store Man 1924 (opened in 1924) has plenty of experience with luxury pattern making and suit design. The brand’s shop carries casual options as well as suits, ties, blazers and many made-to-measure items like tuxedos and more. While the brand has their own private label, they also carry a few external brands, like Lacoste. The only shop specifically for men on this list, Man 1924 has plenty of options for the modern gent. 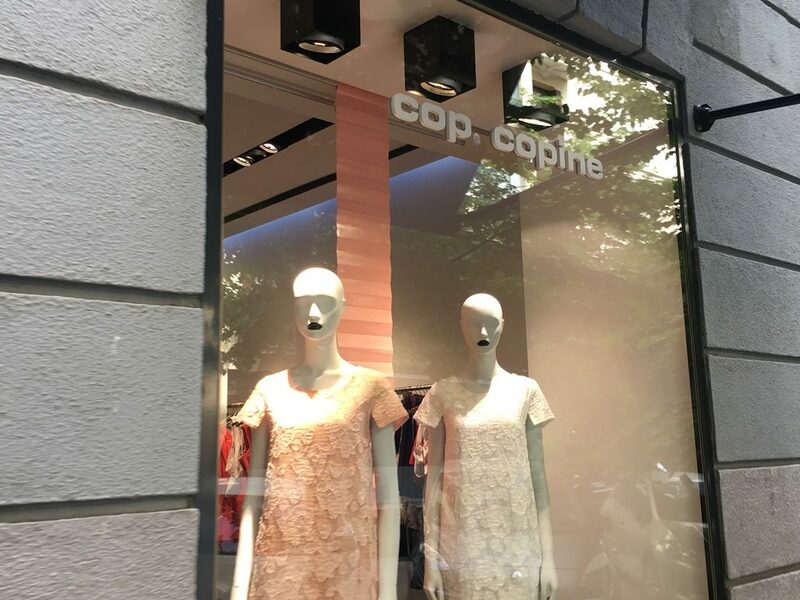 A French brand that is becoming well known in Madrid, cop.copine offers all sorts of clothing and accessories. The shop’s simple and fresh design gives an airy feel, and the delicate, French-inspired designs are stylish and chic. The boutique also sells funky shoes to match the trendy clothes you’ll be purchasing. Renatta&Go is a Spanish brand with a few shops around Madrid. With a focus on what’s trending at the moment, the shop currently has stock including kimonos and chunky costume jewelry ready for the coming spring and summer season. The brand also sells a line for children, as well as gift items like handmade beach towels. The Sita Murt shopper is all about effortless chic and natural comfort. Known around Spain for their knitwear, the brand also sells a variety of accessories and stylish clothing options for a contemporary yet relaxed look. 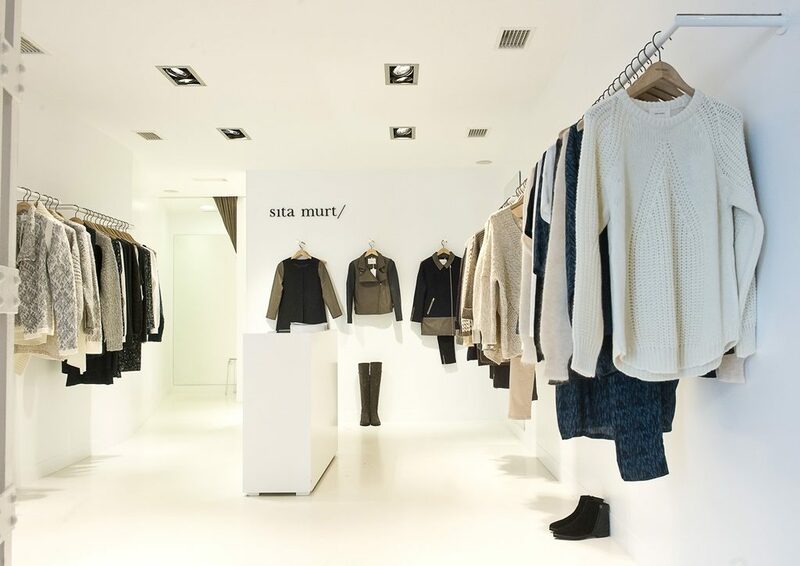 Sita Murt has their flagship store in Madrid, as well as shops in Valencia and Barcelona. A more youthful addition to the Suarez brand, Aristocrazy is a jewelry brand with a mix of different styles, selling trendier, chunky costume jewels or delicate, tiny items. Aristocrazy was the brand credited with bringing the rose gold trend into Spain, and is known for mixing metals, like putting silver and rose gold in the same necklace.